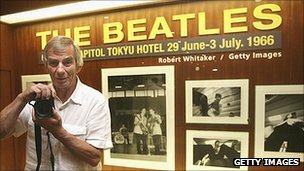 Robert Whitaker, the legendary photographer who snapped many of the most iconic images from the early part of the Beatles' career, has died on Tuesday after a lengthy battle with cancer. He was 72. On his arrival in England in August 1964, Whitaker set to work photographing the members of the NEMS stable including Billy J. Kramer & The Dakotas, Gerry & The Pacemakers (including cover shots for their How Do You Like It and Ferry Across The Mersey LPs). He also did several photographs of the hugely successful Australian folk-pop group The Seekers. However, it was with the Beatles and especially the late John Lennon, with whom he became close friends and that which Whitaker would create his most famous and enduring work. One of his first assignments was photographing the Beatles during their second American tour, including the historic Shea Stadium concert in New York. He spent the next two years travelling with the Beatles and shooting them at work, at rest and at play—on their tours, at home, in the recording studio, during private moments, and in formal photo-sessions. His photos from this period include the portraits that were used to form the Klaus Voorman collage-illustration on the cover of the group's landmark 1966 LP Revolver, and a series of group portraits taken while the group was making promotional films for the singles "Rain" and "Paperback Writer" in Chiswick Park, London in 1966, including the famous "Way Out" portrait of George Harrison. 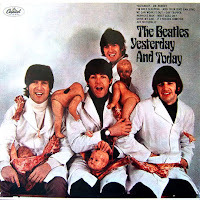 Whitaker also photographed the notorious 'butcher cover' in a photo session on March 25, 1966, which was originally intended for photos to promote their single "Rain"/"Paperback Writer." The images of the Beatles wearing white coats and holding dismembered doll parts, and slabs of meat caused a media storm when the image was used on the cover of the Beatles' "Yesterday and Today" album. 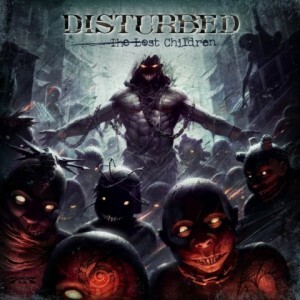 The album was withdrawn from sale and the picture replaced with a more traditional photo of the band. It remains one of the most collected pieces of Beatles vinyl. He also shot the cover of the Revolver album which is considered a textbook album photo. With almost unlimited access to the most famous and popular band in the world, Whitaker quickly became a key figure of the London underground scene, capturing "the creativity and excess of London in the sixties". He has been quoted as saying: "There were about 100 people who ran the Sixties" and he was fortunate enough to meet and photograph virtually all of them. The first limited edition pressing of "Fallen Angels" will come with two bonus tracks, "Annunaki Legacy" and "Blackened Blues". Prior to the album's release, on October 31, a double-A side single, "Hammerhead" / "Hail Satanas", will be made available on 12-inch vinyl and digital download, also through Spinefarm/Universal. "Drive," that's the one. I love dozens of songs by R.E.M., but that's the one, even though it took me 7 or 8 years to start liking it. (Most of the other songs on Automatic for the People took about 12 seconds.) Michael Stipe growls to a crowd of kids who may or may not be there, cowering in the dark. Peter Buck's mandolin and Mike Mills' bass count down to doomsday. Tick tock, tick tock. You could complain that "Drive" runs on a little too long, and for that matter, you could complain that R.E.M. did too. But you'd be wrong, because in a way, running on was their whole point. "I know I have a couple of little things to do before I'm done, but I'm mostly finished and I'm looking forward to the whole thing being put together and the vocals going on," he continues. "Next spring, baby — that's what we want. I know you've been waiting a long time; we've been waiting. We're excited. A lot of people that we know and trust who have come and heard what we're working on think we're doing something really cool. So I hope you'll think the same thing." On November 22, 2011, Lagwagon will be reissuing their five 90s-era albums: Duh, Trashed, Hoss, Double Plaidinum, and Let's Talk About Feelings. Each one will feature bonus tracks including demos, outtakes, EP's and B-sides. In addition to re-releasing remastered versions of the albums individually, the label will be compiling both the CD and vinyl reissues into box sets with a bonus live album. Each of the albums will be releasing as 2xLP and Duh is due out as a double CD. On the verge of the release of the RFT "Best of St. Louis" 2011 issue, Last Collector Standing decided to meet with last year's winner for "Best Club DJ," DJ Needles, to discuss what it takes to make a great DJ. Of course, vinyl was involved. Needles (a.k.a. Nodzill, a.k.a. James Gate) is the son of legendary St. Louis radio DJ James Gates Sr. Over the last decade, however, DJ Needles has made quite a name for himself around town on his own accord. We met at his Dogtown apartment, filled to the ceiling with records, where Needles reflected about his career as a DJ: A career that has earned him two honorary gold records and the opportunity to perform with Digable Planets' Ladybug Mecca. Pink Floyd have commissioned a new flying pig after the original cover star of their 'Animals' album popped ahead of an attempt to re-create the artwork. 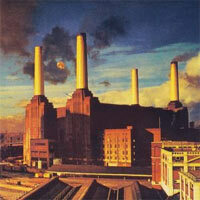 The original inflatable pig was shown flying over London's Battersea Power Station on the front of the 1976 release. The band's record label are set to re-shoot the cover on Monday (September 26) as part of a promotional stunt, but discovered earlier this month that the original pig had become damaged. All three members of Canadian rock legends TRIUMPH were interviewed recently on the nationally syndicated radio show "Rockline" with host Bob Coburn. You can now listen to the program at RocklineRadio.com. Allied Forces" was reissued as a 30th-anniversary vinyl edition on Tuesday, September 20. The record itself was pressed on pristine 180-gram vinyl, which also includes a free download card. 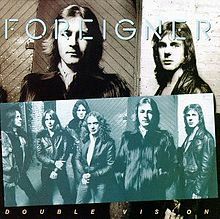 Produced by the bandmembers themselves (vocalist/guitarist Rik Emmett, bassist Michael Levine, and vocalist/drummer Gil Moore), the nine-track album was certified platinum and has gone on to sell an impressive 2.5 million copies worldwide. "I am excited that the 'Allied Forces' LP is being re-released," enthused Levine. 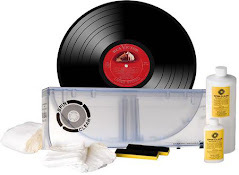 "Vinyl was always my favorite audio format, because it has really nice warmth and depth. 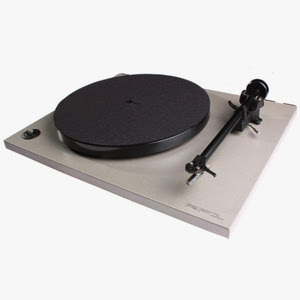 Yet another reason to polish up the turntable and crank up the volume!" 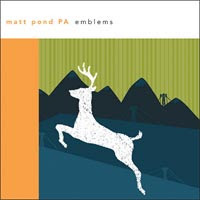 Matt Pond PA’s fourth album, “Emblems” is set to be pressed on vinyl for the first time ever with three additional tracks. The vinyl is set to release as a double via Polyvinyl records November 1st. It is limited to only 1,000 copies and the pre order has been posted. I Want Vinyl Art For Christmas!! 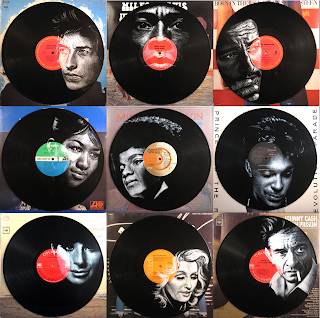 My vinyl friend Daniel Edlen emailed me his latest edition of Vinyl Art News and his new online gallery and it seems all is going well for him. Slip on over to his site and find the perfect christmas gift for your favorite rock and roll fan! The iconic Ray Charles was born in 1930 (died 2004). Hank Williams did his last recording session in 1952. In 1953, the Spaniels record "Goodnight Sweetheart, Goodnight", which will reach the US top 30 next year despite competition from a Pop-style, Gold record version by the McGuire Sisters. The song became well known again in the late 1970s as the closing song performed by Sha Na Na on their weekly variety show as well as its appearance in American Graffiti and again in the late 1980s after its use in the hit film Three Men and a Baby. In 1957, Buddy Holly and The Crickets scored their only US number one hit with their first Billboard chart maker, "That'll Be the Day". Holly would later reach the Top Ten with "Peggy Sue" and "Oh, Boy!" and crack the Top 20 with "Maybe Baby" and "It Doesn't Matter Anymore". 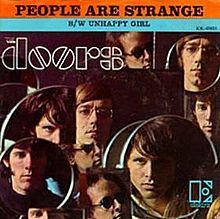 "People Are Strange" was released by the Doors in 1957. In 1967, 16 year old Alex Chilton led The Box Tops to the top of Billboard's Hot 100 with "The Letter". In the UK, it reached #5. The record would go on to sell over four million copies and receive two Grammy nominations for Best Contemporary Group Performance and Best Performance By A Vocal Group, although they lost both to The Fifth Dimension. As for the song, "The Letter", it's come back twice since the Box Tops' version. It was a Top Twenty hit for a group called The Arbours in 1969 and a Top Ten song for Joe Cocker in 1970. In 1967, the Mothers of Invention played live for the first time in the U.K. At Royal Albert Hall in London. In 1967, the Strawberry Alarm Clock perform "Incense and Peppermints" on American Bandstand, pushing it further up the US charts on its way to number one. In 1967, the song "To Sir with Love" by Lulu, from the film of the same name, entered the Billboard Hot 100 where it eventually reached #1. The record wasn't promoted in Britain and didn't make the UK chart. Also in 1972, after a string of TV and Las Vegas stage shows had made him famous, Mac Davis achieves his only US chart topper with "Baby Don't Get Hooked On Me". It made #29 in the UK. Mac would go on to have three more Top 40 hits over the next two years and starred in his own weekly TV show on NBC from '74 to '76 before enjoying further success in Country music. In 1974, The drummer for the Average White Band, 24 year old Robbie McIntosh is found dead in his North Hollywood hotel room. He died of a heroin overdose after he inhaled a white powder thought to be cocaine but was actually pure heroin. Also in 1974, Elvis Presley goes on a $100,000 shopping spree in Memphis and buys six Lincoln Continentals and five Cadillacs and distributes them among his friends. 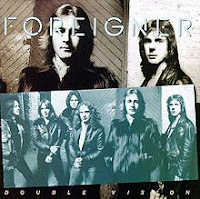 Foreigner released their second album Double Vision' in 1980. In 1980, 35 year old Bob Marley collapses on stage at the Stanley Theater in Pittsburgh. He will be flown to the Sloan-Kettering Hospital in New York where he is diagnosed with a brain tumor and told he has just one month to live, although he will actually survive until next May. The rest of his tour is canceled. In 1997, MCA Records reissued Average White Band's label debut "Show Your Hand" as part of the band's 25th anniversary. In 1997, Elton John's single "Candle in the Wind" was released in the U.S. In 2009, 14 re-mastered Beatles albums and boxed sets sold more than 2.25 million copies during the first five days they were on sale in North America, Japan and the UK, prompting EMI Music CEO Elio Leoni-Sceti to declare that "Beatlemania has returned."